The Oklahoma Political News Service is now looking for qualified interns to help us produce well-researched, informative and entertaining content for our readers. We currently have openings for unpaid internships as staff writers and research assistants. Additional internships for applicants with technical expertise may be available. Interns will occasionally be asked to participate in conference calls, much of their work can be conducted from any location with a computer and an Internet connection. Interns for The Oklahoma Political News Service will be given research and writing assignments. The interns will work closely with the editor of the OKPNS and will be given guidance and feedback regularly. However, the positions will require significant ability to work independently. The work product of the interns will be prominently featured on the OKPNS website, with byline. Their work will be seen by leaders in Oklahoma’s top media, government, business and civic organizations. After intense GOP scrutiny of his record yesterday at the Capitol, Governor Henry is skipping town next week to embark upon the second leg of his “Oklahoma on the Move” RV tour. According to campaign sources, the Governor will be visiting Chickasha, Duncan, Lawton, Altus, Hobart, Cordell, Clinton, Weatherford, Elk City, Woodward, Alva, Cherokee, Enid, Kingfisher, El Reno, and Yukon over four days. As you recall, the first leg of the tour played to sparse crowds and ignited embarrassing controversy. 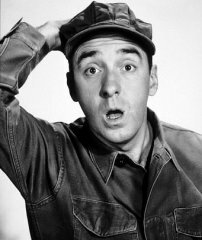 The advance work for the tour was reminiscent of something Gomer Pyle of the old 60’s sitcom would have planned. STILLWATER, Okla.(AP) — A single, stubborn homeowner is standing in the way of a grand athletic complex being built at Oklahoma State University with a record $165 million gift from oilman alumnus T. Boone Pickens. It is an eminent-domain dispute that touches on the very origins of the 116-year-old university, originally called the Oklahoma Agricultural and Mechanical College. The holdout homeowner’s claim: The university has no authority to take away his land because OSU’s governing body, the Board of Regents, has failed to abide by a long-forgotten requirement that at least five of its eight members be farmers. WASHINGTON (AP) Oklahoma Senator Tom Coburn is criticizing earmarks contained in a 448 (b) billion dollar budget bill for the Pentagon. The bill passed the Senate today on a 100-to-nothing vote. It includes 70 (b) billion dollars for military operations in Iraq and Afghanistan and now goes to the White House for President Bush’s signature. But Coburn says the bill includes two-thousand earmarks put in by Members of Congress that cost about eight (b) billion dollars and that many have nothing to do with the Defense Department. Earmarks are used by lawmakers to put spending for specific projects in their home states into legislation and Coburn has strongly criticized the practice. Northeastern is under a Friday deadline to submit its position on the Redmen name change to the NCAA. TAHLEQUAH — Cherokee Nation councilors solidified sentiment behind plans to change Northeastern State University’s moniker after members turned down a measure Thursday to support the school’s Redmen nickname. The resolution was solidly defeated at a committee meeting after councilors heard public input criticizing the use of the Redmen nickname. Tribal Councilor Taylor Keen said universities such as Dartmouth and Harvard had charters based on their American Indian affiliation. He said he doesn’t think NSU’s situation is similar in scope. MUSKOGEE — A federal lawsuit filed by House District 6 candidate Chuck Hoskin and six colleagues is part of a political “smear” campaign that amounts to an abuse of the courts, according to documents filed Monday (9/18) in the U.S. District Court here. Hoskin and six colleagues on the Cherokee Tribal Council filed a lawsuit in June against Cherokee Nation principal chief Chad Smith and two executives of a tribal subsidiary. The complaint alleges the three committed securities fraud when Cherokee Nation Industries bought a controlling interest in Global Energy Group. Smith contends in his new filing that the suit has no factual or legal basis, starting with the fact that those filing it represent a minority of the council. Hoskin admitted that in a statement he issued Tuesday. In addition, Smith contends that the suit makes no allegations that could even meet the loosest definition of securities fraud. “Taken together, Plaintiffs’ patent legal failures reveal the Complaint in its true colors – an inappropriate use of the federal courts for a legally insufficient political attack by a political minority to smear a political opponent in advance of an upcoming election. The Court is urged to have none of it and dismiss the action against Principal Chief Chad Smith with prejudice,” Smith’s filing contends. House District 6 candidate Chuck Hoskin did not receive a request for comment from the Leader last week until the newspaper’s deadline had passed. The Leader offered him until Tuesday to reply, and he did so Tuesday morning. The request for comment involved three questions about new developments in a lawsuit filed by Hoskin and six other Cherokee councilors against principal chief Chad Smith and two executives of Cherokee Nation Industries. Q. Does the language in [Part I of a new court filing], “action by a minority number of Cherokee Tribal Council members,” mean that you and the other councilors no longer claim to represent the Cherokee Nation as a whole? Please explain. A. It is a fact that the councilors that are seeking justice in this case represent one vote shy of a majority of the council. In my opinion, a majority of Cherokee Citizens support our efforts to combat the kind of fraud and abuse that is at alleged in this case. Q. If the councilors are granted the right to charge legal fees to the tribe, it will total $160,000 according to this estimate. Defense costs of $330,000 also would be paid by the Cherokee people, as I understand it, under the common business doctrine that the employer covers defense of actions taken by employees in the course of their duties. (I have not verified, but I understand that there may be CN — specific language as well for each individual indemnifying them — again, that is common in the business world). Do you feel it is worth spending a half million dollars of Cherokee money to settle this dispute? Explain. A. This case is about principles of good government and fair business dealings that are difficult to put a price on. The councilors involved in these proceedings were elected to fight for our constituents and each one of us takes that responsibility very seriously. We would be derelict in our duties if we did not take a stand on behalf of our constituents. When we succeed, we will, in just this case alone, protect millions of dollars for the benefit of the Cherokee people, far in excess of any investment in legal fees. Q. When we have discussed your dual role if elected, you indicated you planned to end your tribal involvement when Cherokee elections are held in June. However, the schedule set forth in the Joint Status Report [since changed, see separate story] indicates that the earliest a settlement conference would be scheduled would be in mid-June, meaning a trial date would likely go into the second year of your first term. Again, can you fairly represent H6 constituents at the same time you are involved in massive federal litigation? A. Yes. Certainly, if the litigation extends beyond the period of months left in my Cherokee Council term, it would make sense for me to withdraw as a plaintiff, as the plaintiffs consists exclusively of Cherokee Councilors with standing to take legal action. You are currently browsing the Oklahoma Political News Service blog archives for September, 2006.